HARD YAKKA: The Captain Creek Rural Fire Brigade was the first in Queensland to establish a Remote Area Firefighting Team to control the Captain Creek blaze in early December. 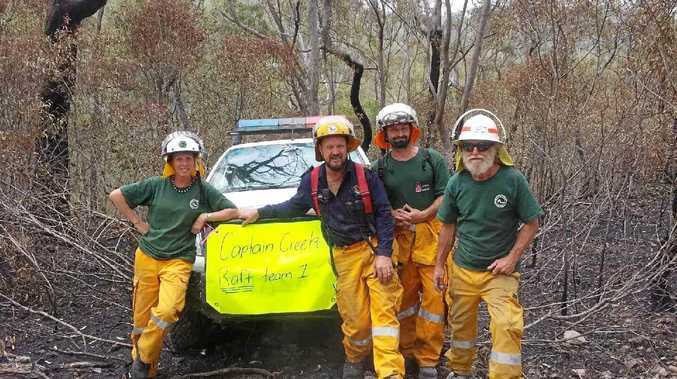 WHILE protecting Captain Creek homes from a "beast” of a fire, a team of rural fire brigade volunteers made Queensland history. Captain Creek Rural Fire Brigade became the state's first Remote Area Firefighting Team last Wednesday, taking a unique approach to controlling a blaze that burned for more than two weeks. First officer John Massurit said on the 12th day of continuous fire activity the brigade worked with New South Wales Parks and Wildlife representative Martin Smith to establish the team, out of necessity. In New South Wales, RAFT members are used to control fires in rugged, isolated areas that firefighting tankers can't access by road. Mr Massurit said over two "long” days the Captain Creek RAFT members walked the hilly and steep terrain that was the line of the fire to identify potential hot spots that could cause it to reignite. 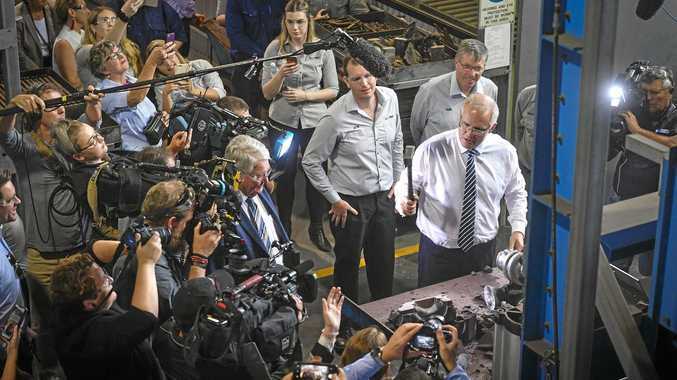 "It's an enormously hard process, you walk the line, you have one foot in the black, the other in the un-burnt and you're manually clearing the line with helicopter support,” he said. "At times you're on all fours, climbing, or you're on steep land. "You have to carry chainsaws, axes, water, food and your navigation equipment. By Friday Mr Massurit said they could finally confirm to the small township that the fire was contained. While it was not the only fire the team fought during the "unprecedented” conditions, Mr Massurit said the Captain Creek fire had a personal importance for the whole brigade. He said the Captain Creek crew on the ground included Peter Willis and Mathew Polizzi, whose homes were threatened by the fire, and Michelle Millar, whose dam was used to help extinguish it. Mr Massurit thanked Queensland Parks and Wildlife Service and the team of volunteers who helped create Queensland's first RAFT. The Captain Creek Rural Fire Brigade was also the lead brigade on the Uxbridge blaze, and helped contain the Eurimbula National Park fire.